Find a blogging platform that suits your needs. I personally use Blogger, but many people prefer Wordpress or Squarespace. Blogger and Wordpress have free options, but Squarespace starts at $8 a month. Decide whether or not you want to purchase your own domain name. You don't have to do this immediately (it's easy to do this later) but it's nice to have consistency with your URL so your readers don't get confused! Here's how to set up your own domain with Wordpress, Blogger, and Squarespace. I used GoDaddy to host my own domain name! Find a template that suits your blog's design needs. My template is the "simple" one from Blogger, but I edited the appearance of it a ton by changing the CSS. You can google practically anything and it'll tell you how to tweak the CSS to achieve your desired design. For example, here is how to automatically add your signature at the end of every blog post! If you aren't that good with computers (and seriously, it's understandable because doing all of this requires time and research), you can buy blog templates on Etsy for your blog! CarrieLovesDesign on Etsy has some cute, low priced options. Start posting! Once you have your design all settled, it's time to start cranking out content. It's best if you spend a little time on each post... you don't want to rush them and make grammatical errors, or else your posts may seem sloppy to readers. It's always fine to save your posts as drafts and work on them for a few days! Although I typically finish my outfit posts within 20 minutes (since they mostly consist of uploading photos and resizing them), I spend much more time on content/informative posts like this one! Make friends with other bloggers. Join a blogger group! If you're a female in college, a great one to apply for is the HerCampus Blogger Network. It's helpful to have connections when you first start blogging. Make money blogging. What? I can do that? Yes, you can. My recommended way for doing this is signing up for ShopSense. I've made a notable amount of money through ShopSense in the past few months, so it is definitely worth a shot! Invest in a quality DSLR camera. I have always had a DSLR camera, but when I first started taking outfit photos, I used my iPhone because I figured it was easier. Easier is not always better. People enjoy professional looking images over images shot with a phone. I would also recommend purchasing a lens with a lower minimum aperture, such as a 50mm 1.8 or 50mm 1.4. The 50mm 1.8 lens is only $125 on Amazon! These lenses create that lovely background blur that is perfect for outfit photos. 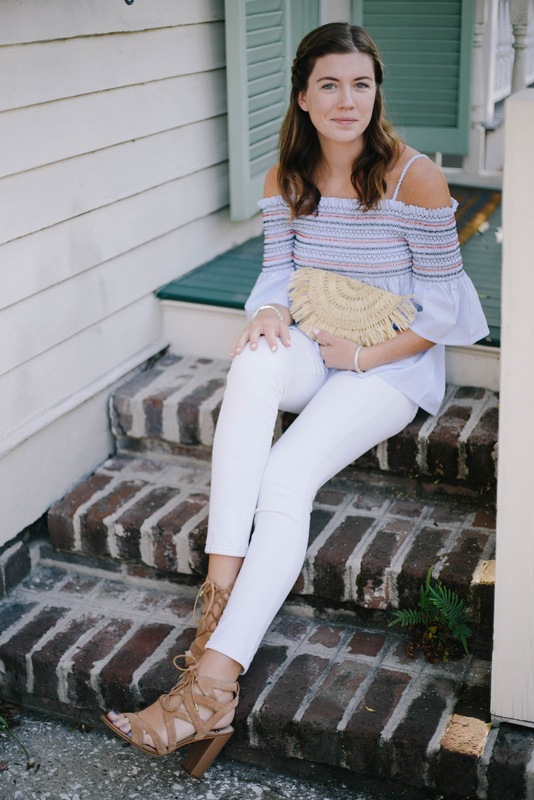 Grace from the blog A Southern Drawl has excellent blog photography tips that are definitely worth reading. Give feedback, and you'll get feedback. When you're reading other blogs and you truly enjoy a post, comment on it and let the blogger know. It might lead to that blogger clicking on your blog and doing the same for you if they enjoy your posts! Advertise your blog using other social media platforms. This is the best way to get page views in my opinion. I usually post links to my new blog posts on my Tumblr, and I'll also upload outfit photos to tumblr with the corresponding blog links! Since I have over 15,000 followers on tumblr, many of them will stumble upon my links. I also have an Instagram account for my blog that I will post images on so my followers can see them there. Pinning from your blog to Pinterest is also a good way to increase traffic to your blog. Be consistent with posting. Admittedly, I need to work on this, but it is better to post a set amount of times a week rather than posting 5 times in one week and then none the next week. Pay attention to what your readers love. Monitor which posts get the most love, and take this into consideration when writing future posts. For example, if your recipe blog posts aren't getting much love from your readers, then they may not fit into the theme of your blog! Proofread your posts before publishing them. This seems like a no brainer, but you would be surprised with how many people make silly spelling and grammatical errors in their posts. Be professional! What are your tips for successful blogging? Feel free to share in the comments below! Thank you for sharing!! I started my blog a few months ago and have been searching for others' tips on blogging. I love that you included tips for successfully running a blog. All your tips are super helpful. I highly recommend purchasing your own domain for your blog. Thanks for the tips! I agree that proofreading is essential. I will leave a blog if it doesn't seem like the blogger has put enough time into it. Having a responsive design is also wicked important! Great tips, girl! I wish I had seen a post like this when I first started! 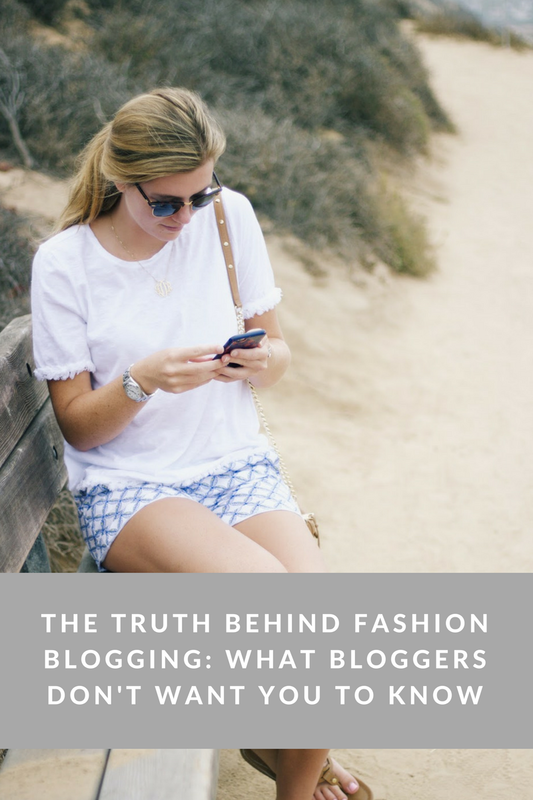 I'm new to the blogosphere and this is exactly what I needed! Thanks so much. I love all the pictures you post! SO helpful! Finally made the plunge to start my own blog & now that I've written a few posts I'm like "okay now what?" Thank you so much for writing this article! Im new to blogging and this is exactly what i was looking for! Thank you so much. Thanks Isabella so much for these great tips! I hope to become just like you one day! Thanks so much for these great tips Isabella! Hope to become as successful as you!